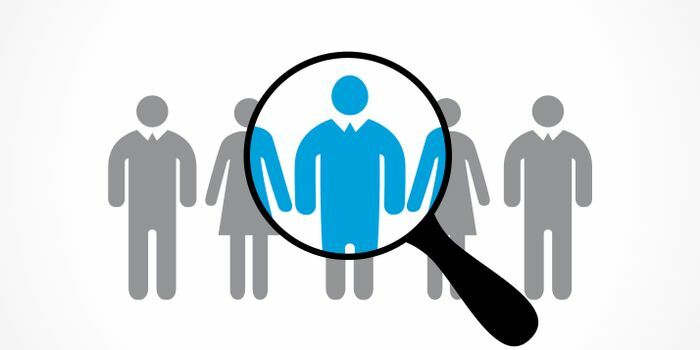 SBI PO Selection Procedure 2019 - State Bank of India will announce the selection procedure of SBI PO 2019 for recruitment of Probationary Officers (PO) in the banks. As per previous year's notification, the SBI PO selection process consists of three phases - Prelims, Mains and Group Exercises (GE) & Interview. The candidates must qualify in each stage of the SBI PO selection procedure to be eligible for Probationary Officers. Candidates who had secured the qualifying marks in SBI PO 2019 prelims will be shortlisted to appear for the mains exam. Candidates qualifying the SBI PO 2019 mains examination are shortlisted to appear for interview and group exercises. SBI will conduct SBI PO 2019 in three stages – prelims, mains, an interview. As per SBI PO selection process, SBI conducted the SBI PO exam for 2000 Probationary Officer vacancies/post. As per the SBI PO selection process, the marks obtained in the SBI PO 2019 prelims will not be added for preparation of the final SBI PO 2019 merit list for selection. Only the marks obtained in SBI PO 2019 mains, will be added to the marks obtained in GE & Interview for preparing the final merit list. The recruitment process of State Bank of India Probationary Officers (PO) is done in three phases. Candidates can check details of the SBI PO selection procedure given below. As per SBI PO selection procedure, SBI PO preliminary exam will carry 100 MCQs comprising of three sections and 100 questions. Approximately 20000 candidates will be shortlisted for the mains examination from the top of the merit list. SBI PO 2019 mains exam will be conducted in online mode in both objective and descriptive test for 250 marks. Objective type paper will carry 200 marks consisting of 4 sections while descriptive test paper will carry 50 marks for English language test. A total of three hours will be given to the candidates to complete the exam. Only qualified candidates in mains exam will be called for the next stage of SBI PO selection process i.e. Group Discussion/Interview. Scores secured in the mains (out of 250 marks) will be converted to out of 75 and marks secured in Group Exercises & Interview (out of 50 marks) will be converted to out of 25. After converting the marks of mains and GE & Interview out of 100. The selection will be made from the top merit ranked candidates in each category. For declaration of final merit, marks obtained in the mains examination and GE & Interview will be calculated for preparing the merit rank of the candidates. The selection will be made from the top merit ranked candidates in each category. Starting basic pay is Rs. 27,620 (with 4 advance increments) in the scale of Rs.23700-980/7-30560-1145/2-32850-1310/7-42020 applicable to Junior Management Grade Scale-I. The candidates will be eligible for D.A, H.R.A/Lease rental, C.C.A, Medical, and other allowances & perquisites as per rules in force from time to time. The total compensation per annum on CTC basis would be a minimum of Rs. 8.20 lacs and maximum of Rs 13.08 lacs depending on the place of posting and other factors. After SBI PO selection procedure is completed selected candidates will be designated as “Probationary Officers” and will be on probation for two years. Those candidates who qualify in the assessment as per standards determined by the Bank from time to time will be confirmed in the Service of the Bank in Junior Management Grade Scale-I (JMGS-I). Further, those officers who achieve higher standards/ scores stipulated by the Bank may be considered for direct placement in the next higher grade, Middle Management Grade Scale-II (MMGS-II) immediately after confirmation. If any candidate fails to achieve minimum standards prescribed by SBI the candidates may be terminated as per policy of the Bank in force at the material time.